When you use a large cleaning company, you never know who's going to be in your office. With Wards Professional Cleaning LLC, it's the same person or persons each week. We are a small, family run business, you know us and we do the cleaning ourselves. As a small business we provide the quality & reliability of the larger companies with the trustworthiness & personalization of a smaller company. We offer weekly cleaning schedules to fit your needs and budget. We can do full Wichita office cleanings several times a week, or just empty the trash and clean the bathrooms once per week. We are easily accommodating to your cleaning and scheduling needs. When you are looking for affordable, reliable office cleaning, give us a call. We would love to work for you. 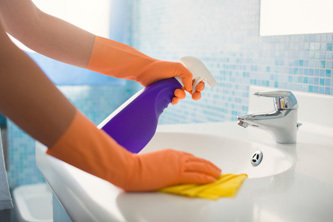 Specializing in office cleaning offices for 19 years.